The state of California understands that juveniles sometimes make mistakes. As a result, they have provided a record sealing process so that the crimes you committed before you 18th birthday will not follow you for the rest of your life. After having your juvenile criminal record sealed, it will be almost as if your past criminal activities never occurred. Thereafter, only a select few can view your sealed record. However, this juvenile record sealing is not automatic. As a result, you will have to understand the juvenile record sealing process in California, in order to gain official approval for the sealing of your juvenile record. How Do I Have My Juvenile Criminal Record Sealed? I Want to Know How Do I Have My Juvenile Criminal Record Sealed in California! California Rule of Court 5.552 is the law that governs the sealing of juvenile criminal records in California. Before you turn 18, only you, your parents/legal guardian(s) attorneys and court personnel are the only parties who are legally allowed to access your criminal record. Even after you turn 18 years old, your past juvenile records will remain on your criminal record. However, following your 18th birthday you have the right to petition the California court system to have your juvenile records sealed. If the court approves your petition, your juvenile record will be ordered sealed. After being sealed, these records are no longer accessible to the general public. Five years following the date of sealing the records are completely sealed, and it is as if your past juvenile record never existed. 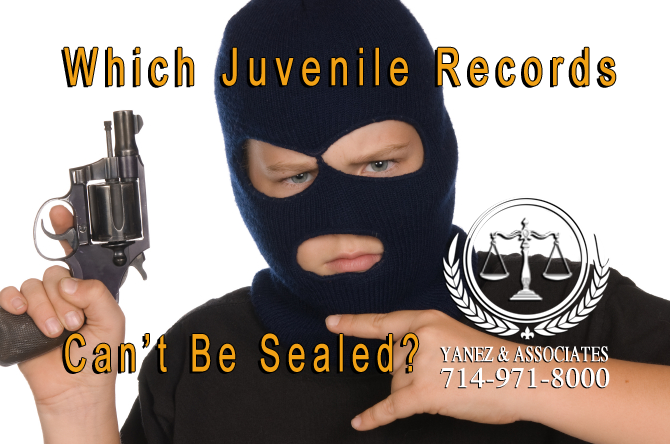 Which Juvenile Records Can’t Be Sealed? Which Juvenile Records Can't Be Sealed in California? How Does the Juvenile Record Sealing Process Work in California? I want to know how the Juvenile Record Sealing Process Work in California? 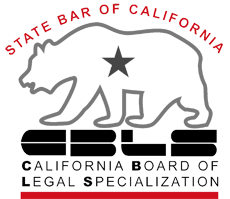 • Records, transcripts and reports related to matters released or prepared by the child welfare services program, the court and/or the California Probation Department. Sadly, not all juvenile records can be sealed. In fact, certain serious offenses are prohibited from being sealed. Furthermore, the juvenile record sealing process is not applied to the California Department of Motor Vehicle (DMV) records that cover violations of the California Vehicle Code. After your juvenile record sealing application is received by California’s Probation Department, a California probation officer will conduct an investigation to determine whether you are eligible to have you juvenile record sealing application approved. The probation officer’s investigation will center on reviewing evidence of your rehabilitation, a criminal background check, and whether or not you fulfill the basic eligibility requirements for record sealing. Following this investigation a report will be issued containing either a recommendation that you are eligible for the sealing of your juvenile criminal record, or a statement of why you are ineligible for juvenile record sealing. If a probation officer recommends that your application should be approved, you will then have an informal court hearing with a judge, who will make the official decision about whether or not your juvenile records should be sealed. Depending on your location, this hearing will be held in-person or over the phone. If a decision is issued in your favor, you will no longer have to legally say that you have a juvenile record. Five years after the sealing of your juvenile case history, your juvenile record will be officially destroyed. 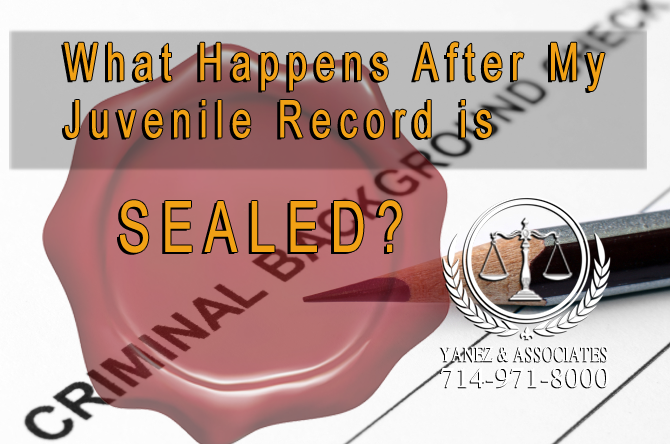 What Happens After My Juvenile Record is Sealed? What Happens After the Judge approves my application for sealing My Juvenile Record? After the judge approves your juvenile record sealing application, an automatic court order is sent to the United States Department of Justice (DOJ). This is significant because all U.S. background check companies use the DOJ’s criminal background records. This update to the DOJ records takes at least four week for completion, and it could take an additional two to three months before the records of private background check companies are updated to officially reflect your now sealed juvenile records. Once the updates officially take affect, employers, lenders and housing authorities will no longer see your juvenile criminal past when they perform a background check using your legal name. 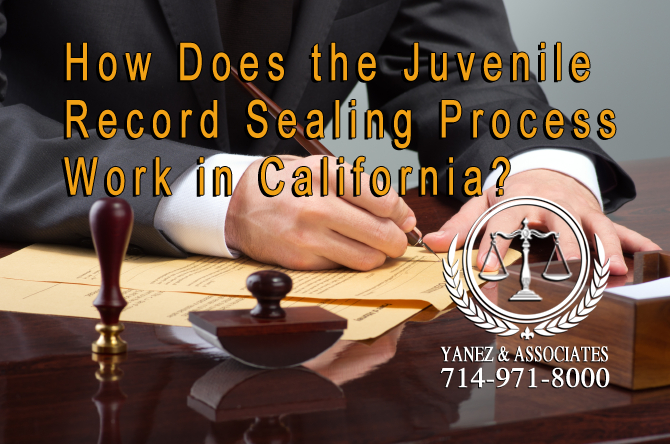 The licensed attorneys here at Yanez & Associates in Orange County, California can provide legal support and representation during all stages of the record sealing process. Our legal team has ample experience with helping our clients obtain expungement and having their juvenile record sealed. Contact us today to discuss how we can help you clean up your criminal record. 2 How Do I Have My Juvenile Criminal Record Sealed? 3 Which Juvenile Records Can’t Be Sealed? 4 How Does the Juvenile Record Sealing Process Work in California? 5 What Happens After My Juvenile Record is Sealed? California, Cleaning Up Your Juvenile Record, expungements, How Do I Have My Juvenile Criminal Record Sealed?, How Does the Juvenile Record Sealing Process Work in California?, How To Expunge a Criminal Record in Orange County, How to seal your juvenile record in Orange County, Juvenile Record Sealing Case, Know the Process For Sealing Juvenile Criminal Records in OC, What Happens After My Juvenile Record is Sealed?, Which Records Can’t Be Sealed?